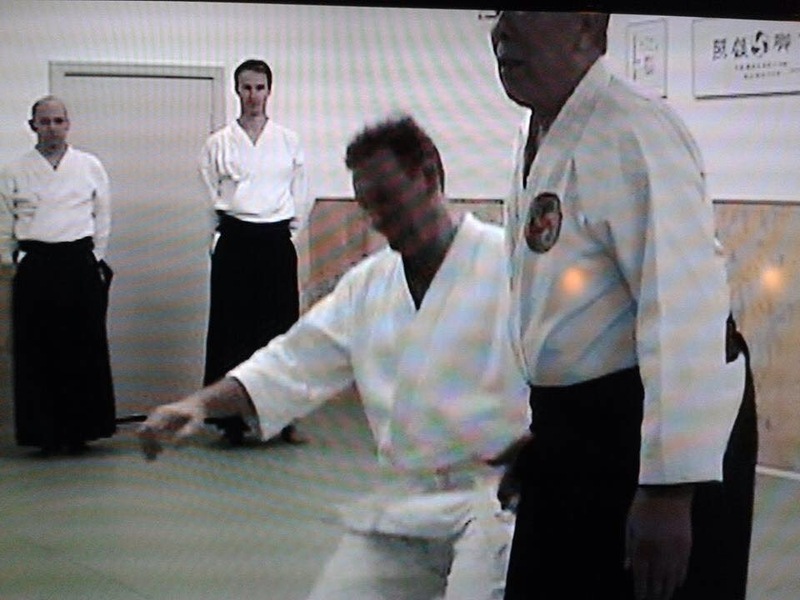 I started practising Aikido in 1982. In that time my Aikido, because ultimately that is what it is, has gone through many changes. Some of them have involved various degrees of imitation – simply copying what I was shown, or adopting stylistic components that I had come to admire – but still copying nonetheless. In the fullness of time, I began to intuit mainly through observation, feeling and reflection certain universal core principles. Of course, they had always been there, under or over-emphasised as the case may be, depending on the dogmatic orthodoxy of whatever was fashionable at the time. 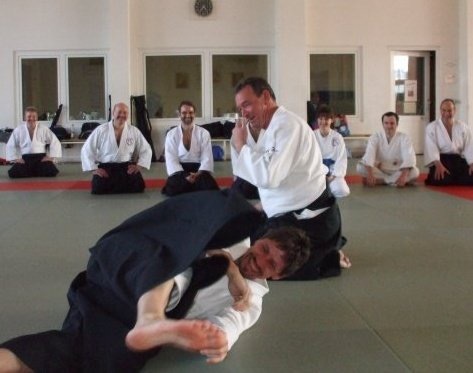 Yes, Aikido is subject to fashions and fads like anything else: the use of whole body power in Yoshinkan and Iwama Aikido, the weight underside and softness of Ki Aikido, and the subtle use of connection and Kokyu of Kisshomaru and Yamaguchi Aikido, to reference just a few. 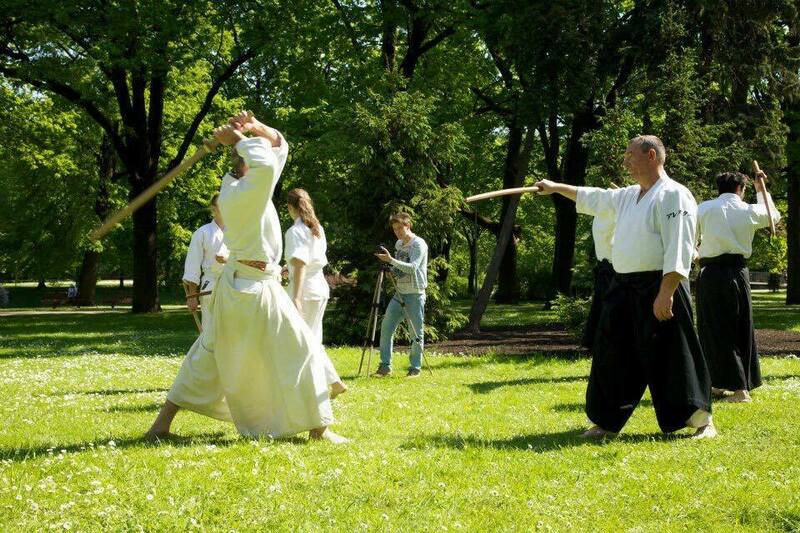 In studying the history of Aikido, we tend to emphasise differences, but in reality, during the formative period of modern Aikido there was a lot of cross-pollination going on. Tohei was Saito’s sempai, for example, and you can see his influence on Saito’s Aikido if you really look closely at tai no henko. All of the apparently different styles of Aikido have a common root. The differences between styles that we all take for granted has resulted in a somewhat fragmented view of Aikido. But this has more to do with the history of post-war Japan than anything intrinsic to Aikido itself. The really important stuff, the core principles that make Aikido possible, transcends time and circumstance. I would argue that they transcend Aikido itself. The political aspect of Aikido is much more fluid and transient. But what really is the difference between whole body power and weight underside, intent and Ki, Kokyu and Aiki, one point and Koshi? These days, there is only Aikido. Not the Aikido of this or that Sensei, but simply Aikido. Looking at different styles, whether hard or soft, fast or slow, athletic or geriatric, carefully choreographed or well-conditioned ukemi, internal or external, I experience a sense of detached indifference. I understand what I see, but none of it is new. What I tend to look for nowadays is something different, something new and unique. What I see increasingly is either variations on a theme, or themes, that are principle based, or highly stylised and repetitious kata based forms which seldom exhibit any kind of principle. Neither strike me as being particularly interesting, these days, although if forced to choose I would opt for the former in preference to the latter. Even so, while the principles from which thematic variations are born are ancient in origin and practically impossible to date with any accuracy, I do believe that there is still the possibility of discovery and novelty in Aikido. Where can it be found? When a toddler learns that it can run it experiences an overwhelming sense of freedom. Indeed, at that age it is difficult to impose restraint. It is an age of experimentation and exploration of space and time, of trial and error, elation and tears. That feeling, though encompassed by a learned sense of necessary discipline, is so powerful that it never really goes away. Although there are many toddlers that can do this, the experience remains uniquely individual. It is the same in Aikido. Once experienced, the sense of whole body, Kokyu, Aiki, living from centre, is uniquely individual. It is uniquely yours. The fact that someone else can experience this for themselves opens the possibility for new and enhanced relationships, exploration and experimentation. What I look for these days is gratitude and respect between practitioners. That has nothing whatsoever to do with rank, lineage or style. The main impediment is, as always, oneself. This article was originally published on 5 July 2016 and kindly reposted here with Alister’s permission. 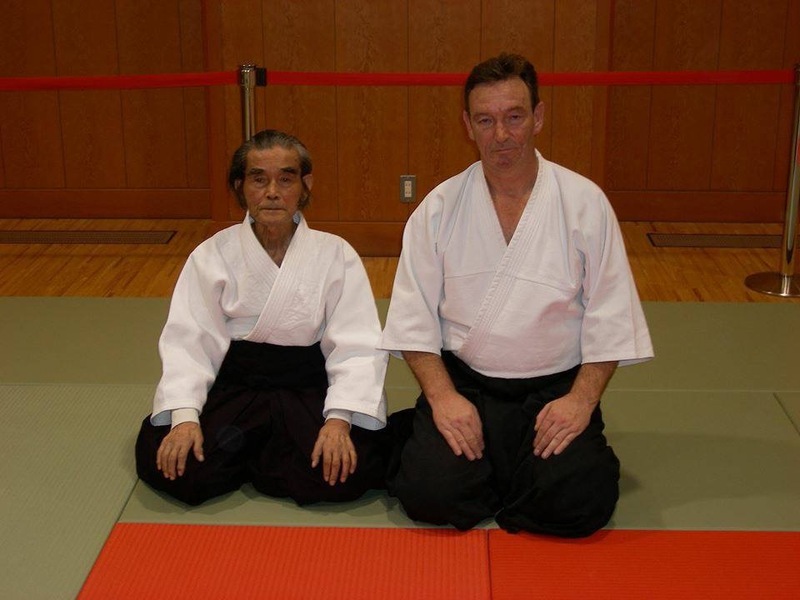 Alister Gillies (4th Dan Ki Aikido, 3rd Dan Aikikai) began training in Aikido at the University of Glasgow in 1982. He was attracted by the gracefulness and apparent effortlessness of the movement and technique. 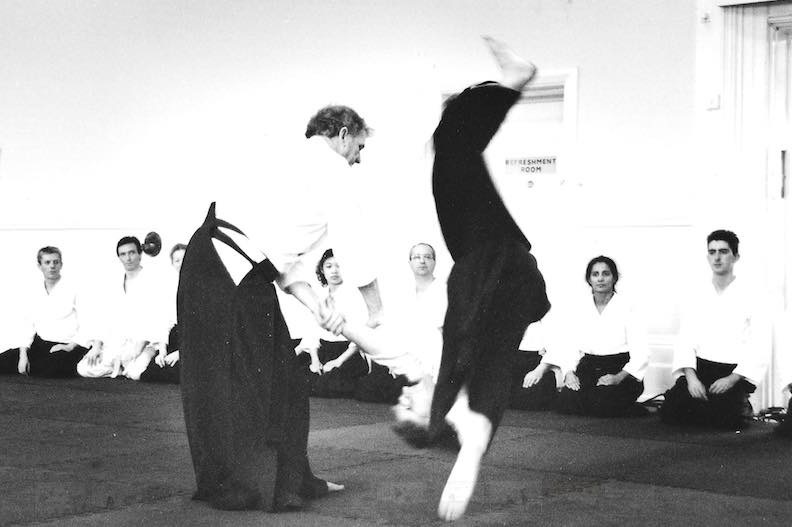 In 1989 Alister began training in Ki Aikido with the Ki Federation of Great Britain, under the technical direction of Ken Williams sensei, a pioneer of Aikido in the UK who is still actively teaching in his eighties. In 2006 Alister met Okamoto sensei of Daito Ryu Roppokai in Denmark, which gave him a different perspective on Aikido and its origins. Then in 2007 Alister met and received instruction from Kanshu Sunadomari Sensei in Kumamoto, which sparked off a renewed process of learning and discovery that continues at his Aikido Kenkyukai dojo near Swindon in England. 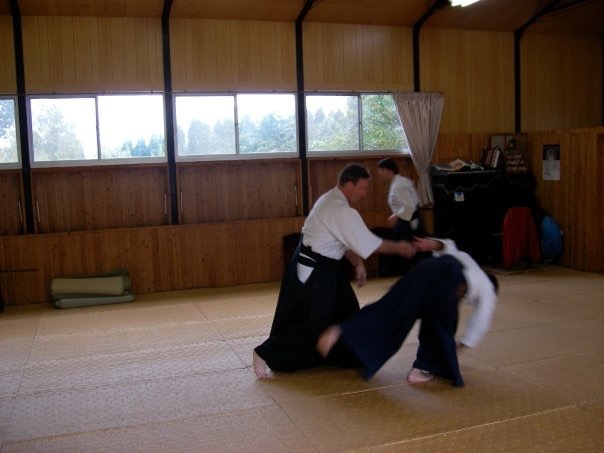 Alister uses Aikido technique to help students develop a principle-based understanding of Aikido. He is interested in how technique can reflect how we use our minds and bodies, how that use can be more effective and natural through training, and lead to a greater sense of well-being. He published a well-received book on Aikido titled Tenchi: Building a Bridge between Heaven and Earth and is creating handcrafted training weapons, meditation stools, and other custom made items that can be purchased through his Aiki Crafts online store.